The New View Society creates an environment for growth and recovery for people with mental illness in the Tricities, through housing, employment, and social recreation programs. Enjoy our conversation with Tiffany Melius of the New View Society! How did you get involved with the New View Society? I heard that they were looking for a new Executive Director and they seemed like such an awesome organization. In addition to being a non-profit management executive, I am also a life coach, and the Psycho-Social Rehabilitation principles that New View uses to work with people with mental illness align very well with my philosophical principles – we work with the whole person, and focus on their strengths and capacity to grow (not their illness). Describe your team and all of those involved with the New View Society. We are a staff of about 30 people, 2/3rds of whom are frontline workers, and the others are housing maintenance staff, managers, and admin staff. We also have a team of volunteers that run our reception and help out with programs, as well as our Board of 11 community members who govern the organization. We also have very strong community support, and often have partnerships with local companies, municipalities, organizations etc. What is a current project that your team is working on? 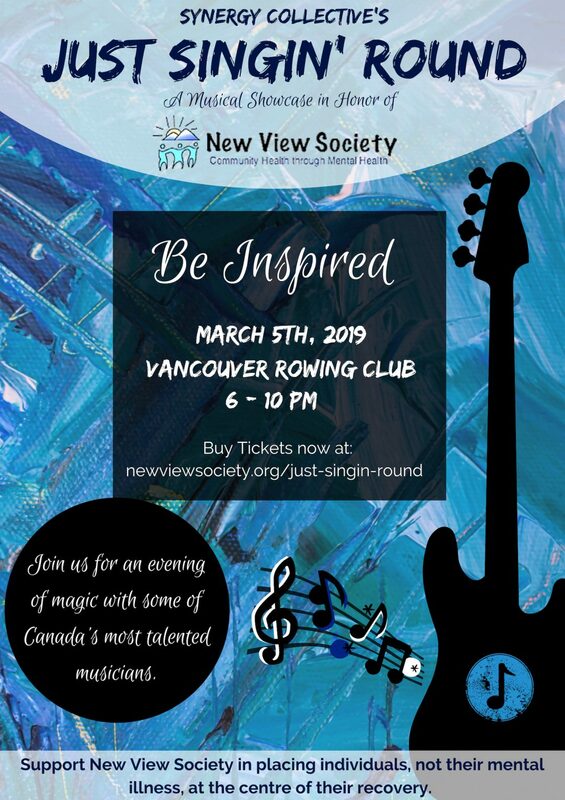 We are organizing a fundraising event, Just Singin’ Round on March 5, 2019, and we are also looking for land and partners to build a 50-unit affordable apartment building. Stigma against people with a mental illness is still a challenge, despite all the strides we’ve made in the past few decades. We have had huge successes in educating our local community about mental illness and the individuals that live with them, as well as helping integrate our clients into typical life situations such as work, housing, hobbies etc. What has been the most rewarding moment you’ve experienced working with the New View Society? The events that we have where the community and our members interact seamlessly – you can’t tell who has a mental illness and who is an interested community member. I love celebrating the talents of our members. Having them performing live music at those events, sharing their stories (or stand-up comedy routine!) is so heart-warming! How can others contribute to the organization’s work? We have core program funding through the health authority and Provincial Government; what we don’t have is funding for any initiatives that we want to pursue outside of the narrow mandates of the contract scope. Things like a Peer Support Program – evidence-based and great for both those currently in recovery to share and give-back, and those currently experiencing illness who need the ear of someone who ‘gets’ what they are going through. Un-designated donations are always appreciated, so that we can direct the funds to where they are most impactful. We find that companies like to give in a different way that gets them ‘feel good’ media exposure while giving – a good example is donations of a percentage of sales for a month where that month is promoted through social media channels and even in local newspapers etc. Alternatively we are always looking for volunteers for our Board, or even reception duty, or in-kind donations of professional services. And we are also looking for land in the Tri-Cities right now. And if you have nothing to give but your time, come visit our Clubhouse and talk to our members – hear their stories and help reduce the social isolation which characterizes the reality of a lot of our members. The New View Society is one of the many non-profit organizations using our MarketPlace #BrokersOfGood. Are you a business who wants to support a non-profit? Connect with HeartPress at community@heartpress.ca.